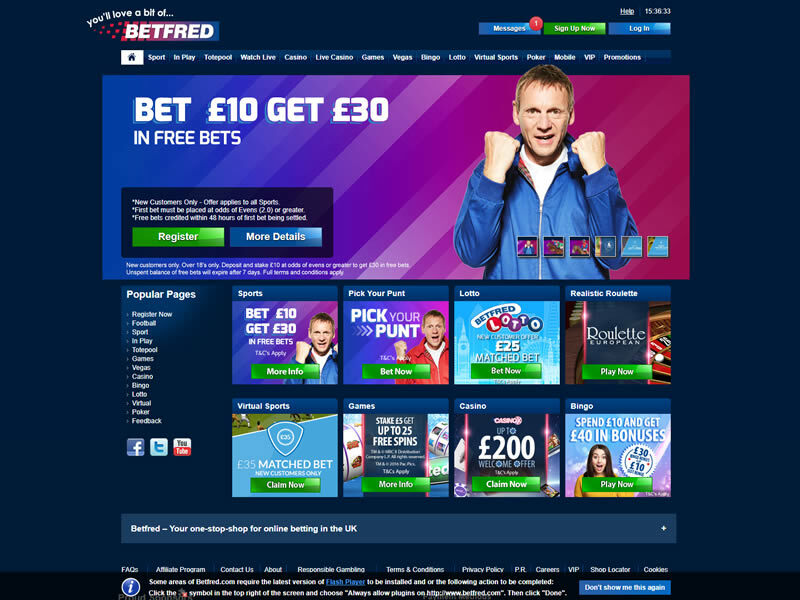 The Betfred brand is now recognized as the world’s biggest independent bookmaker with over 750 shops in the UK, as well as an established online betting and gaming business. Betfred has earned the title of the ‘Bonus King’, as they keep a consistent flow of promotions and bonuses running on a daily basis usually available for both new and existing customers. 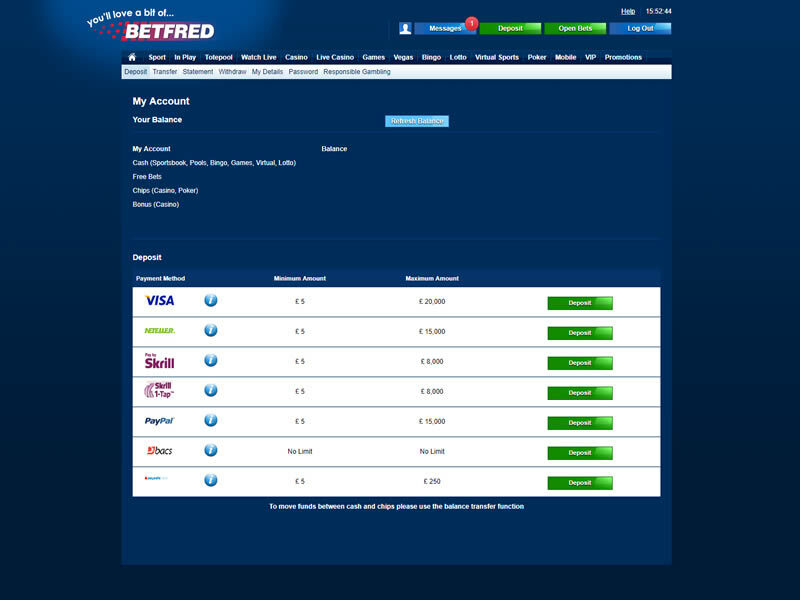 Betfred regularly offers money back promotions as well as bonus payouts. Being an independent bookmaker, they are also renowned for going out on a limb with some of their prices if Fred Done (the owner) feels something is worth advertising, usually involving football. For keen multiples players, Betfred is well worth the trouble of checking out closely as they have a strong track record for value in their odds. 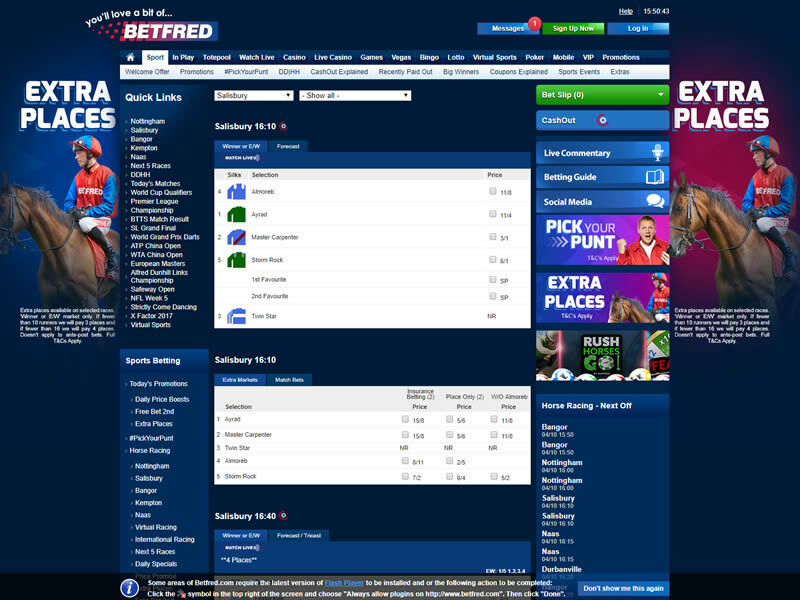 Superior graphic design and navigational prowess grace the Betfred site, giving the user an easy visit from the very start. 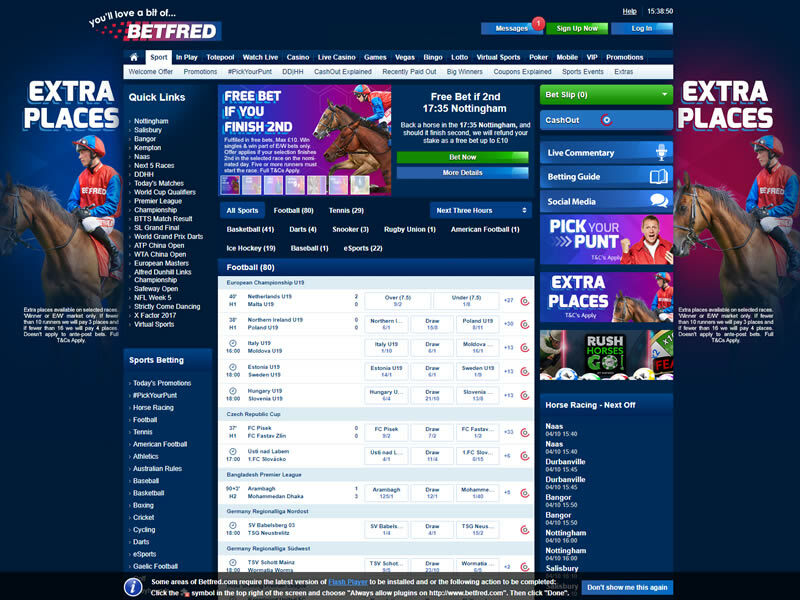 A clean layout and quick navigation complete the package, making Betfred a punter’s paradise. Join today at Betfred.com Bet £10, Get £30 in free bets. Only available to new customers from UK & Northern Ireland. You must stake £10 or more at single/cumulative odds of Evens (2.0) or greater on your first bet. Free bet balance of £30 credited within 48 hours of your first bet being settled. Free Bets expire after 7 days. E-Wallet restrictions apply. Minimum 5 game rounds. Game restrictions apply. Maximum 30 Free Spins on selected games. Free Spins expire after 7 days.